The current state of Class II composites could be much better, relative to their clinical longevity, the presence of recurrent caries, occasional postoperative tooth sensitivity, the time spent to place and finish them, and the average fee charged by dentists (Fig. 1). 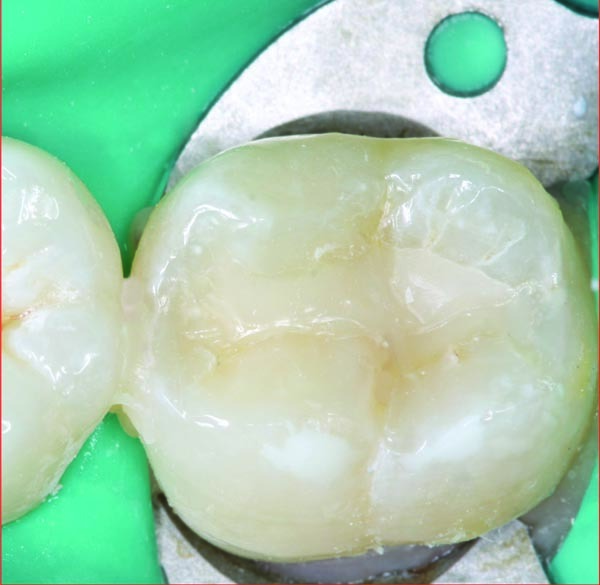 Most dentists favor doing other, more predictable and revenue-producing procedures, but that can’t be done routinely because the Class II composite is one of the most frequently required restorations. Can this procedure be made better? The answer is definitely yes! This article provides information and suggestions on how this commonly required clinical procedure can be speeded up, simplified, and made more predictable and more profitable. The fact that Class II composites receive inadequate revenue is well known. How long do you spend placing and finishing a typical standard-sized Class II composite? Probably about 30 minutes. In an equal amount of time, you could probably complete a one canal endodontic treatment. The fees for these two procedures certainly aren’t similar—in the USA, the endodontic procedure receives about three to four times more revenue than the composite. Most would agree that fees should be based on time involvement and difficulty, but they are not. Composites should receive more revenue, but that is not likely to happen. So, speed up the procedure. Anesthetic delivery. Where legal, anesthetic delivery by dental hygienists saves about 10 minutes. Dry field application. Placement of rubber dam, Isolite 2 or Dr. Thirsty, or using other dry field techniques, can be easily and successfully delegated. This saves at least 5 minutes. Tooth preparation cannot be delegated in most locations. Placement of the restorative material can be legally delegated in some geographic locations, saving at least 10 minutes. Finishing of the restoration can be delegated in some locations, which saves about 5 minutes. The described delegation of tasks saves at least one-half of the typical dentist clinical time. In environments where the above delegation can be accomplished, the Class II restoration procedure becomes profitable. The only significant major challenge is ensuring that the staff person doing the procedures is fully educated and trained. 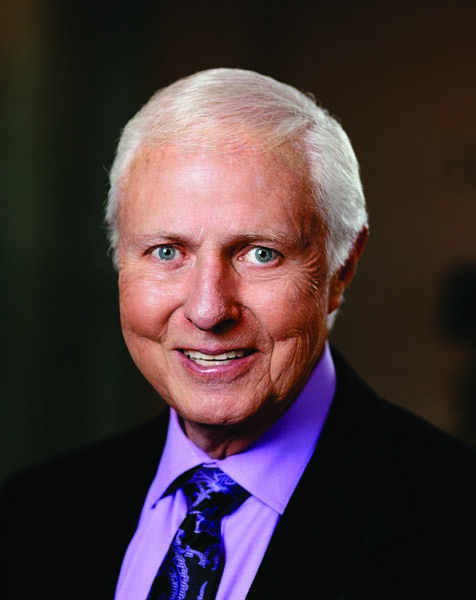 I encourage you to become politically active to encourage expanding the clinical tasks of properly trained dental hygienists and assistants to accomplish these clinical tasks. In my strong opinion, dentistry does not need another auxiliary as is being promoted by some organizations. We already have an enviable well-recognized, perfect team with a great “quarterback”: the dentist. Most of you reading this article cannot legally delegate the described procedures. What else can be done to simplify the Class II procedure? Fig. 1: Class II composites have a significant range of adequacy, depending on many factors discussed and potentially solved. These restorations, placed by an unknown dentist, had been in the mouth for only a few years and they needed to be replaced. Fig. 2: The broken margin, or “white line,” shown in this photo can be avoided with proper placement, curing and finishing as discussed in this article. Fig. 3 and 4: The moderate-sized Class II restorations shown in these photos were placed, cured and finished as described in this article. The dreaded “white line” has been avoided. The facial lesion on the second molar has still to be restored. Fig. 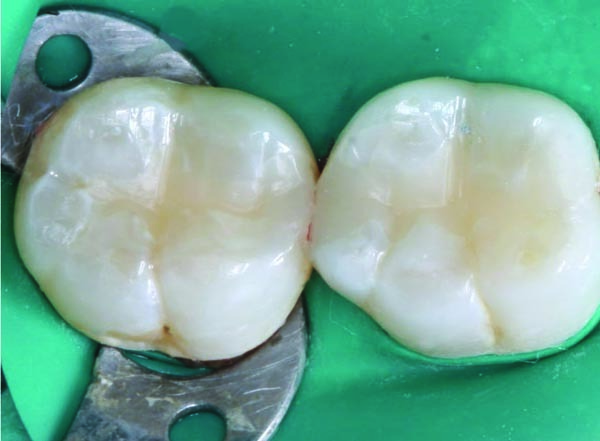 5: Find the restorations in the two premolars—there is a DO in the first premolar and an MOD in the second premolar. They have been in the mouth for two years. 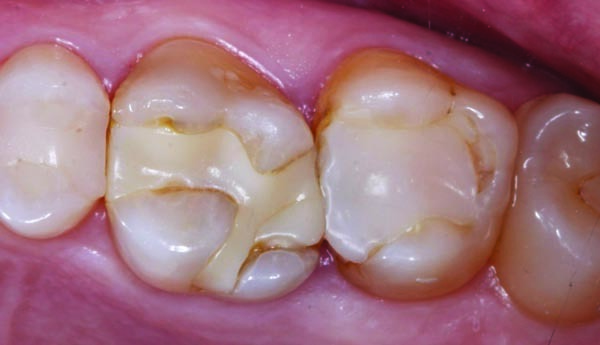 Resin-based composites in small caries lesions can serve many years, if placed correctly. • Educate your staff and emphasize getting patients in on frequent recalls to diagnose and treat small Class II lesions. Treating a small lesion requires only 10–15 minutes, while a large one requires 30–45 minutes. Unfortunately, the revenue is the same for either one. • A second dental assistant on hand while accomplishing not only Class II composites but all dental procedures greatly simplifies the procedures. Many dentists think they cannot afford to have a second chairside assistant. If you really analyze your time expenditures for each clinical procedure, you will convince yourself that you can’t afford not to have another assistant. However, you and your team need to develop the skills to use that second dental assistant to an optimum level. • Use of six-handed dentistry. Unfortunately, most dentists currently graduating from dental school have not had education on four-handed dentistry, not to mention six-handed dentistry. Use of the six-handed concept greatly simplifies any procedure. 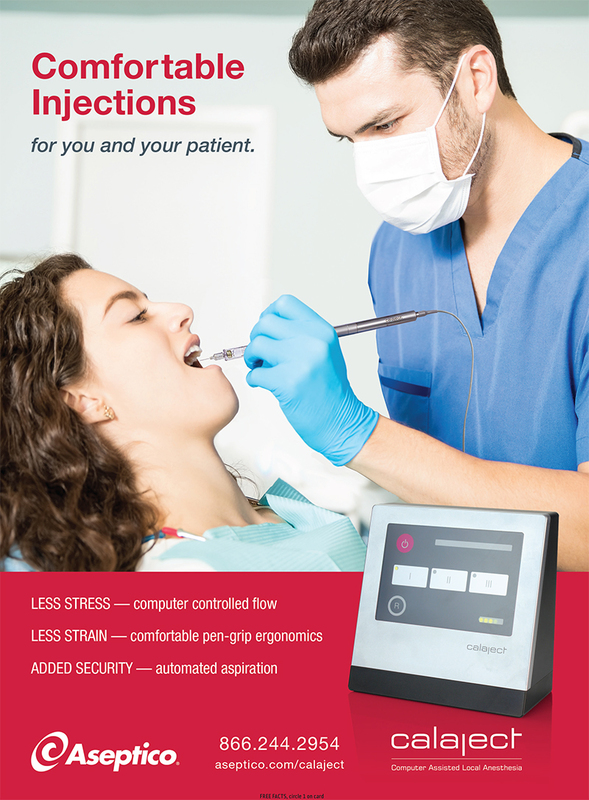 As an example, while one dental assistant is using the high-velocity suction and air-water syringe, the other one is changing burs or disks, mixing material, assisting in holding lips and cheeks, going to get whatever forgotten material is needed, calming the patient, or doing whatever is needed. Studies have shown that six-handed dentistry increases productivity, excites staff, impresses patients and increases revenue significantly. • Training dental assistants to the level of knowledge of the dentist about the sequence of instrument and material use is mandatory. Assistants should not wait for the dentist to ask for instruments or materials. They should have whatever is needed ready for each step in the procedure and proactively hand these instruments and materials to the dentist. How is this level of staff competency achieved? I suggest in-service training sessions on a routine recurring basis. One-hour sessions on whatever procedure you’re teaching soon accomplish that goal for you and your staff. When they know the steps in the procedure, the materials and devices needed, and the end result desired, the procedure is a team effort, not a step-by-step list of commands from the dentist. • Use of your preferred instruments and materials on organized trays or in cassettes greatly simplifies the procedures. This simple organizational concept means dental assistants don’t have to run for whatever is needed, thus saving time. • Use of an adequate dry field technique. If rubber dam is not your choice, Isolite 2 and other concepts have had excellent acceptance by the profession and should be considered and implemented into practice. An adequate dry field not only speeds up a procedure but also improves the quality of the treatment. • Informing the patient while operating about what is happening during any procedure calms them, assures them that the procedure is going well and, thereby, simplifies the procedure. • Use of desensitizing material on the exposed dentin. Clinicians Report Foundation has accomplished research on several of the potential tooth desensitizers, including benzalkonium chloride, chlorhexidine, glutaraldehyde and others. It has been concluded that use of 5% glutaraldehyde and 35% HEMA for two 1-minute applications desensitizes dentin very effectively. Well-researched products are Gluma, GluSense, G5 and MicroPrime. • Use of a liner on deep tooth preparations. Although some would condemn this procedure, experienced clinicians strongly support it. Whenever caries removal begins to display a pink color in the dentin, you know you are close to the pulp. That is the time a liner at least 0.5 millimeters thick is desirable, not only for the insulating property of the liner but also for the bioactivity in some of them, helping to create new hydroxyapatite. Currently, the most popular liners are resin-modified glass ionomers such as Vitrebond Plus from 3M and Fuji Lining LC from GC America; or MTA-containing materials such as MTA Flow from Ultradent, NeoMTA Plus from Avalon Biomed and TheraCal LC from Bisco Dental. 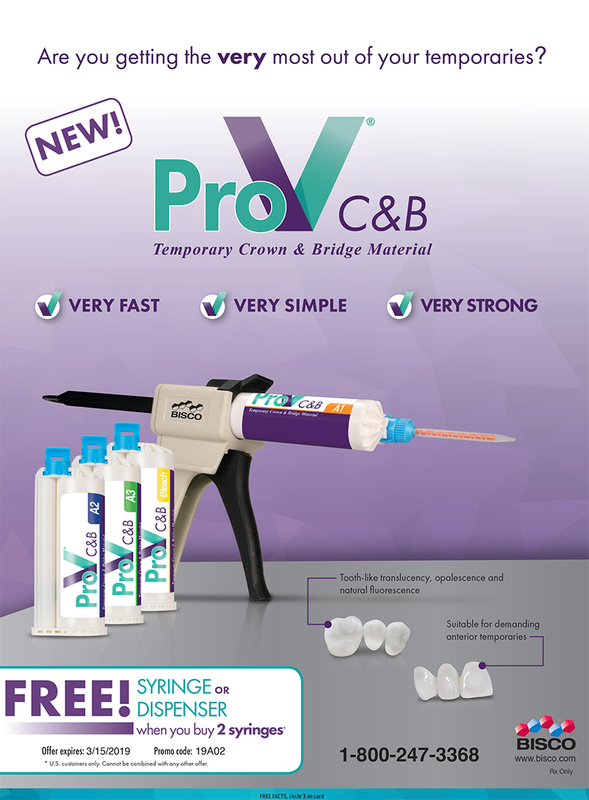 • Use of a proven bonding agent. 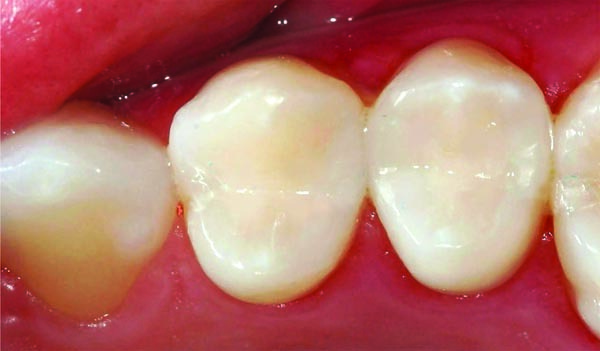 Does a bonding agent really bond, and if not, what is the purpose for bonding agents in Class II restorations? When acid-etching a Class II tooth preparation, you make thousands of retentive forms in the enamel, and you open the dentinal tubules. The bonding agent also produces a transient, measurable bond of about 40 megapascals to enamel and dentin. That amount of retention remains on the enamel indefinitely because of the luting effect of the enamel irregularities, but the chemical bond to the tooth soon depreciates due to expansion and contraction dissimilarities between the enamel, dentin and restorative material. The main retention for resin to tooth structure in a Class II restoration is the acid-etch irregularities in the enamel. The bonding agent on the dentin soon loses its bond, but it continues to plug the millions of dentin tubules, thus decreasing postoperative tooth sensitivity. • Use of adequate matrices. The matrices available today, such as those from Dentsply Sirona, Garrison, Triodent and Ultradent, make tight contacts readily and easily producible. As close to the resin as possible. Aimed to provide the light energy to enter the resin mass perpendicular to its surface. Used for an optimum time. Many companies are suggesting curing for too much time, overheating the tooth and potentially damaging the pulp. There is an optimum time for each light, each brand of resin and each color of resin. Please experiment with your lights to determine how deeply your lights cure at the amount of time you are curing. Many of the fast lights will cure in a few seconds. Try curing a resin specimen on your lab bench to see how deeply your light cures the color of resin you usually use at the time you usually use. Use a knife or other instrument to scrape the resin from the opposite end of the specimen you have cured until you cannot scrape off any more resin. Then, adjust your curing procedure accordingly. Use air cooling from an air–water syringe while curing to avoid overheating the tooth. The following carbide bur sizes are desirable for nonabusive finishing; diamonds of similar sizes are also appropriate. Electric handpieces, such as those from Bien-Air, KaVo and NSK, are preferred over air-driven handpieces to produce nonabusive finishing. Use low speed (about 1,000 rpm), no water spray and a light touch, with loupes on. 7406 for occlusal finishing of margins. 7901 for removing any overhangs on the apical margins. 7801 for placing grooves and sluice ways. The final finishing and polishing can easily be done with Politips from Ivoclar Vivadent, finishing points from Kenda; discs from 3M, Cosmedent or Shofu; followed by prophy paste in a soft, nonabusive, ribbed rubber cup; and polished with Prisma Gloss from Dentsply Sirona, Enamelize from Cosmedent or other similar products in a soft rubber cup (Figs. 3 and 4). You undoubtedly have your own favorite instruments different from the ones I’ve mentioned above. If they are working adequately, continue to use them; if not, consider my suggestions. Many other great products could be substituted for my suggested instruments and materials. The Class II resin-based composite restoration clinical procedure can and should be speeded up, simplified, made more predictable and more profitable. This article suggests numerous ways to implement those goals (Fig. 5). Dr. Gordon J. Christensen, Dentaltown founder Dr. Howard Farran and clinical director Dr. Thomas Giacobbi met up at last year’s Townie Meeting in Orlando, Florida, to discuss everything from amalgams vs. composites to how it’s possible for dentists to double their net revenue. To stream the video or read a transcript, click here. 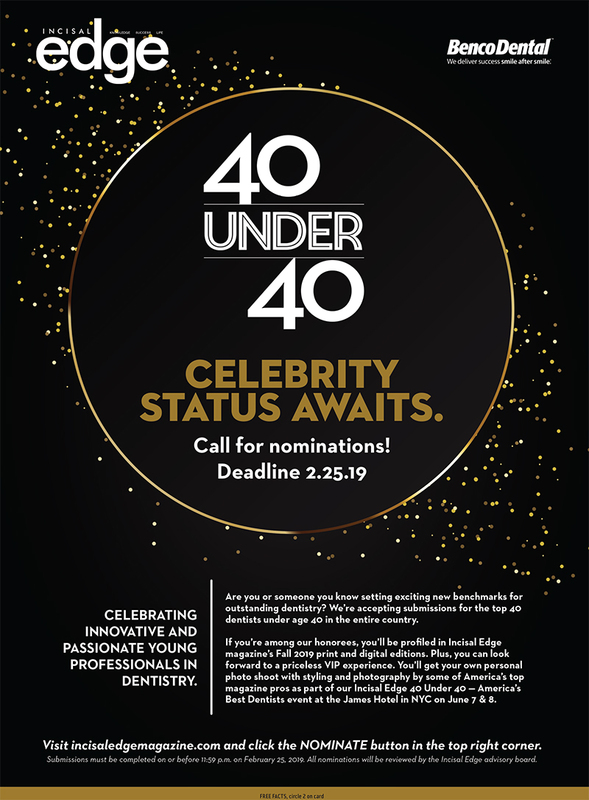 Support these advertisers included in the February 2019 print edition of Dentaltown magazine. Click here for an entire list of supporters.